All of our trainers have CrossFit certifications. They understand that no two bodies are alike and will work with you to get fit at the right pace. Leonie is a collegiate basketball player turned CrossFitter and CrossFit owner. She was introduced to CrossFit while training for basketball and has fell in love with CrossFit ever since. She is passionate about helping people get healthy and learn to do things they previously thought they couldn't do! She's a Niner-faithful, Warriors fan and a true lover of fitness, sports, people and life. Born and raised in East San Jose. She graduated from Independence HS and is San Jose State D1 Basketball player. Go Spartans! Michael has a background in football, rugby and wrestling Mike was introduced to CrossFit in 2009 and decided to pursue CrossFit as a sport in 2013. Mike made the 2018 CrossFit West Regional Team Division. He's a Niners fan, pizza connoisseur and enjoys joking with the coaches & athletes around the gym. Vanna runs the back end operations and finances of the gym. She is dedicated to growing the Kindred community so that the gym can continue to make a positive impact on the lives of the local residents. She's a die hard Warriors fan and Niner-faithful 'til the end! She's proud of her east side SJ roots and enjoys diversity in culture, food and people. She's a graduate of UC Berkeley - Walter A. Haas School of Business. Let's Go Bears! Richard aka "Guz" is a US Marines, Sergeant and CA Army National Guard, Sergeant. Guz was introduced to CrossFit in 2011 at his first workout and he's been "hooked" every since. Guz is passionate about learning about CrossFit, nutrition and the body so that he can better serve and train his athletes. Guz is a loving pet owner to Kara, his Cane Corso dog, and an active Combat Medic for the California Army National Guard. George is one of the longest tenure coaches at CF Kindred. He doesn't mind being a Cowboys fan among a group of Niner faithfuls! He's a former college football player from State Central Methodist (in Missouri) and spent a few years playing semi-pro football. He's a loving father, dedicated coach, a fun loving guy who loves football and helping new and existing athletes learn CrossFit. the well-being of others and helping people lead better lives. 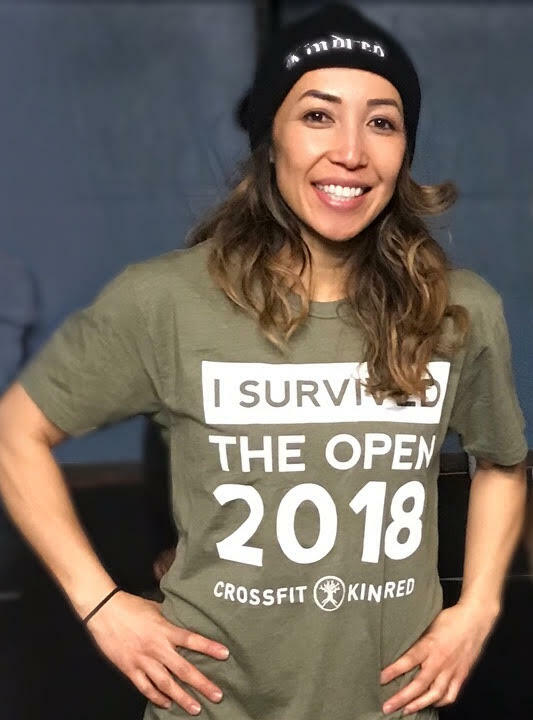 Janet is a graduate of San Diego State and she enjoys training in Jiu Jitsu when she's not CrossFitting or coaching.